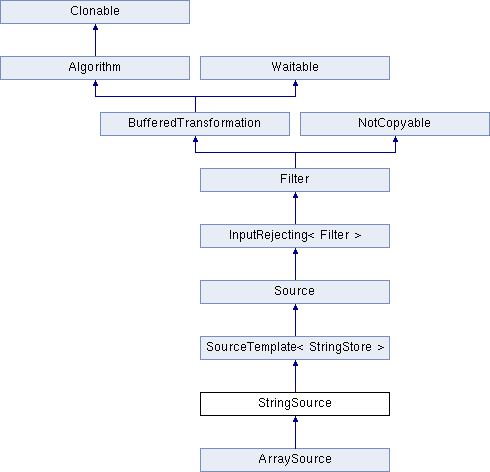 String-based implementation of the Source interface. Definition at line 1392 of file filters.h. Definition at line 1397 of file filters.h. Definition at line 1404 of file filters.h. Definition at line 1412 of file filters.h. Definition at line 1419 of file filters.h.